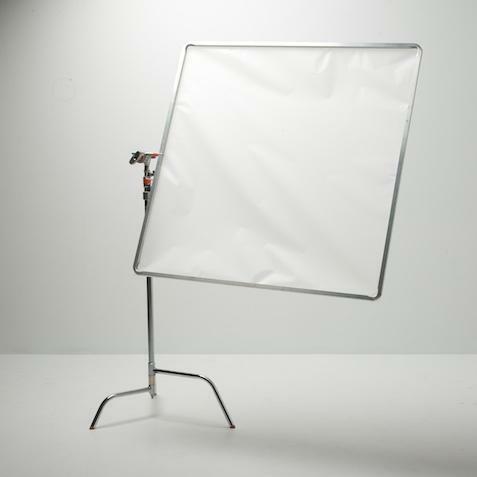 A light that is pointed directly at a subject and has diffusion material placed in front of the lamp source. The quality of light emitted is referred to as "soft light". When a light is aimed directly at an object or subject, as opposed to being bounced, it is said to be 'direct' light. Any lighting source can have diffusion added to it in order to change the quality of light emitting from the lamp and untimely falling upon the subject. In general terms, adding diffusion to a lamp will "soften" the quality of light, but the expectations of 'soft light' may not be what is expected if diffusion was only added to the lamp head itself (such as with a gel frame) or attached to the barn doors of the light.